I have been writing about my blood cleanse and for the most part, it has been uneventful. Drinking the herbal tea was palatable and easy! As I enter the next phase or my “organ” cleanse or day 8, 9 and 10, I realize that I must focus on the end result! I was told to “lay low” for the next 3 days but I have or will not be a good girl. 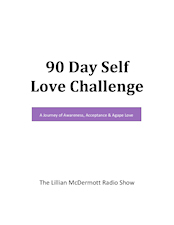 I am writing this post on the morning of day 9 and have already had my 16 oz of prune juice, apple juice and water… As I prepare for The Lillian McDermott Radio Show, I wonder how many unexpected noises will come out of my body during my show with Space Coast Honor Flight? So, for the record… please accept my apologies for anything I might say or do as my body is “bubonic” and it is being tested to the max! Anywhoo… After the show, I am purchasing food for The Ronald McDonald House with my younger daughter Brittney so that tomorrow, our family can cook and serve a meal for these wonderful families. (Approximately, 50 people.) Even though I will not be able to have a morsel of food… I cannot wait!!! “Laying low?” Not this weekend or week!!! But I do hope you will tune in on Monday from 9 am to 10 am as I start on a new journey with a cleansed body, mind & spirit! So talk to me, listen and we will all learn together… The Lillian McDermott Radio Show ~ Weekdays from 9 am to 10 am (except Thursday) and Saturday, from 12 pm to 2 pm ~ On “The Talk To Me Station” AM 1300 WMEL & Worldwide on www.WhenYouNeedaFriend.com. Awww! Thank You Christine… We only see in others what we truly are ourselves. Wishing you well on your cleanse. You’re an inspiration to us all! Thanks for sharing your voyage! Thank you so much Rosalind for your kind words. I am glad I made it through the broadcast today!